A second article published in the Times on this issue pointed out that the motivation for this change would be to limit the number of euthanized cats. Apparently, it is more difficult to place cats for adoption than dogs, and many cats are euthanized. An update was provided stating that the vote on the new limit would be delayed for 60 days to allow for additional comments and consideration. The proposed change in the law would allow a person with five cats to have no more than three cats that live part or all the time outdoors. Two of the cats would have to live indoors. There would be no change to the number of dogs that an owner can have; that will remain at three. This change in Los Angeles law will not impact community associations that have more restrictive language in their CC&Rs, such as stating that owners may maintain only one pet, whether it be a dog, cat or bird. 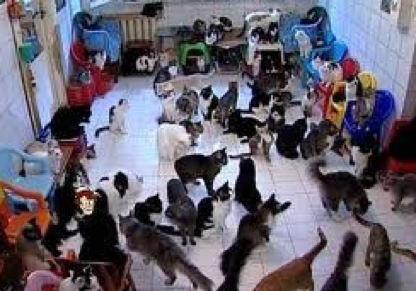 Further, just because the city law says that an owner can have outdoor cats does not mean that residents in a community association can allow their cats to roam an association’s common area. I know from prior experience that many associations have had difficult experiences trying to get owners to keep their cats indoors or on leashes, and not roam the community. 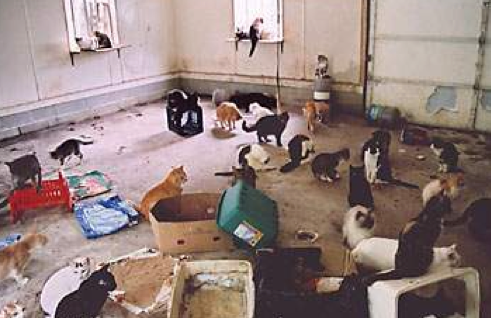 At one association I was working with recently, it was discovered that their roof, which had not been inspected for quite some period of time, was being used as a litter box by a number of cats in that community. I have also received complaints from owners that other owners’ cats that are allowed to roam the community are tearing up the landscaping and creating other problems. It may be time for community associations to review and reconsider their CC&Rs and Rules & Regulations as they relate to the number of pets that a resident can maintain, and whether cats will be allowed to roam the common area off-leash.